When you are about to launch a new product, there are many things that keep you awake at night… Is there a major flaw you haven’t discovered yet, despite all your testing? Is the pricing strategy you have chosen the right one? Will you be ready to launch on time? And, of course, will your marketing campaigns deliver the leads you need to hit your revenue projections? We can’t solve all of those problems, but we can give you a way to gain confidence that your marketing campaigns will work. We refer to it as “debugging your marketing” – it’s a way to test the critical components of your go-to-market strategy before you launch expensive marketing campaigns. In marketing language, you are testing and validating your buyer personas and messaging. In plain English, it allows you to find out if you are targeting the right people and saying the right things to get them interested. 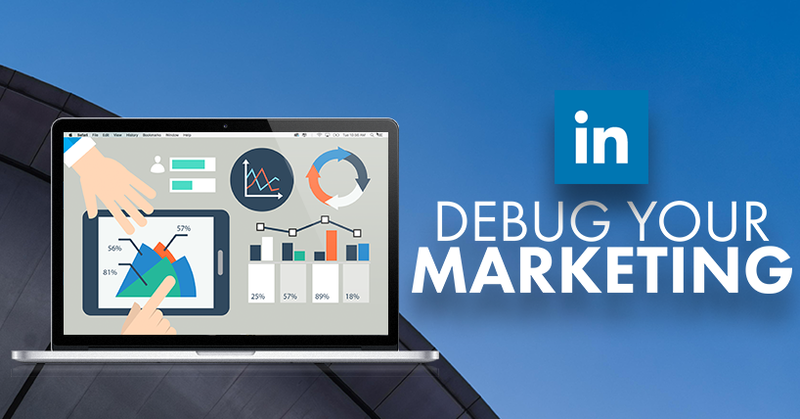 In the same way that you wouldn’t deliver software without debugging it, it makes sense to debug your marketing before you launch your product. Beta is the perfect time to debug your marketing. By the time you reach beta, you have been focusing on creating a great product for a long time. You’ve gone through cycles of debugging, fixing all the issues. Now it’s time to transition your focus to making sure your marketing is successful. Even if you are very confident that you’ve clearly identified your target audience and know how to get them excited about your solution, using this debugging process will validate your plan – and getting validation is key if you want to ensure that your launch goes well. Wouldn’t you love to move ahead with that clarity? If you’ve ever spent money on a marketing campaign that didn’t work, you already know that it’s not just a matter of how much money you wasted. It’s also the time and the lost opportunity. It’s discouraging for your team, who put so much passion and hard work into your product only to see the campaign flop. When you take the time to ensure that you are focusing on a responsive audience, you avoid wasting money, you don’t lose time, and you gain confidence that you will be spending your marketing budget productively. As an example, let’s say you run a software company that has created a new bookkeeping tool. You might assume you should market to the heads of accounting departments. That makes sense, logically, because they deal with the books and it’s their team that will be using the software. However, when you run an experiment using a Test Matrix, you may discover that it’s actually CEOs who are the most interested in the software. But just finding the audience that responds to your product isn’t enough – you also need to refine the message to get the most conversions. When you test your messaging, you’ll discover what words, phrases, offers and pain-points people respond to and you can drop those right into your advertising copy and promotional materials. For example, perhaps the CEOs respond best to some of the cool features you built into your reporting, such as the ability to better forecast cash flow. You might have guessed it would be that your pricing that would be attractive, but you discover pricing doesn’t matter as much as you expected. You wouldn’t know this unless you had debugged your marketing! We call our process a Test Matrix because we are testing two variables – your target audience (buyer persona) and your messaging (the way you describe your value, benefits and features). There are three different ways to do a Test Matrix. For all of them, we start by identifying the most promising buyer personas and messaging themes. Now we are going to test each message on each persona, measure the results and compare. We began with the assumption that we should be selling to the CFO, and that price will be the most compelling message. In this example, we can see that CEOs respond at twice the rate of CFOs, and they are much more interested in cash flow forecasting reports. But bookkeepers were the most responsive, and Salesforce integration is the compelling hook that grabbed their attention. So that tells us that the people who are most interested were CEOs, and the way to get their attention is by talking about cash flow forecasting, and bookkeepers, who were interested in the Salesforce integration. But we need to take it a step further. Getting attention is necessary, but we also want to look at conversions. Where do we get greater interest and requests for demos? From the CEOs? They are the decision-makers in most small companies. Even if the software doesn’t technically belong to them, they might push it into accounting. From the bookkeepers? They are the users – not the decision-makers – but they might recommend the software to executives because they are tired of dealing with integration issues. The point is that we won’t know for sure until we try it. It is common to find that one persona responds at twice the rate of the others, and that one message gets 2x or even 4x the number of responses. Wouldn’t it be nice to know where your sweet spot was? And to have actual leads that were generated before your product launch that prove you’re onto a winning strategy? With manual outreach, you run searches on LinkedIn to identify people who fit your personas. We recommend finding 50 people who fit the criteria for the first persona. Then send them the first message. Then find another 50 of the same persona and send them the second message. Then another 50 and send them the third. Once you complete the messages for the first persona, move on to the second persona. This is the simplest way to do a Test Matrix, and the best way if your personas are very specific (e.g., bookkeepers who use Xero), because you can view the LinkedIn profile information to know if they are a fit. It usually takes 6-8 weeks to complete the Text Matrix this way, but it’s worth the time investment. You will end up with excellent insights. Of the three methods, manual outreach has the highest quality control, but because of that it does take the longest. Write a blog post on each theme, then use the Sponsored Content ads to insert the blog post into the news feeds of the people in each persona. You track the results of the campaigns and compare data. This approach is faster than manual outreach, because you let LinkedIn choose the recipients for you. It works well for products where your personas are fairly broad and can be defined according to the audience specification options for LinkedIn ads. Since you can run all the campaigns simultaneously, it is possible to have the results in 2-4 weeks. If the blog posts are already written, it can be done in less than 2 weeks. The third approaches uses another type of LinkedIn ad, called Sponsored InMails. Write a sales email for each theme, and send InMails to at least 50 of each buyer persona. LinkedIn will choose the people who receive the message for you, according to the criteria you specify. This is usually the fastest approach because emails can be written faster than blog posts. However, you need a strong call to action (such as a white paper or webinar, which might take time to create). You also need a display ad to go with each email. This method can be completed in less than two weeks. When trying to decide between the three types, the biggest factor is how tightly defined your personas are. If you are trying to reach CEOs of software companies with 11-50 employees, you can use any method. If you want to reach bookkeepers who specifically use Xero, you will likely want to use manual outreach. In case finding out who is most interested in your new product and the best way to get their attention isn’t enough, here are some other benefits of doing a Test Matrix. A Test Matrix can be done before the product goes into beta. In fact, some of our clients use it whenever they get an idea for a product – before they have written a line of code. They gauge demand to help them determine whether the interest is strong enough to justify building the product. They also use it to find out what features get people excited. This helps them create a product the market wants to buy. You can quantify your results and use them in other areas of your business. That has value whether you are in product development, improving your marketing and branding, in a budget meeting asking for more marketing money or pitching to investors. Wouldn’t it be nice to have a few sale leads before the product launch? The people who respond to your Test Matrix can be given to your sales team so they have leads to start working right away. This boosts confidence, brings in some revenue and allows you to start working on your delivery processes in preparation for the actual launch. If you find that your personas aren’t biting or your messages aren’t getting the response you hoped for, the Test Matrix provides a framework to adjust your approach and try again until you do get the response you hoped for. You can refine your personas or test new messaging. This is the kind of thing you want to find out before you invest in your launch. Having the ability to adjust your targeting or positioning before you go live can save months of frustration and many thousands of dollars. Do you have a product you are planning to launch later this year? The earlier you start the Test Matrix process, the more time you have to debug and refine your marketing for optimum results. Let’s schedule a time to talk – we can discuss your product, and see if a Test Matrix might be useful to ensure the success of your upcoming launch.